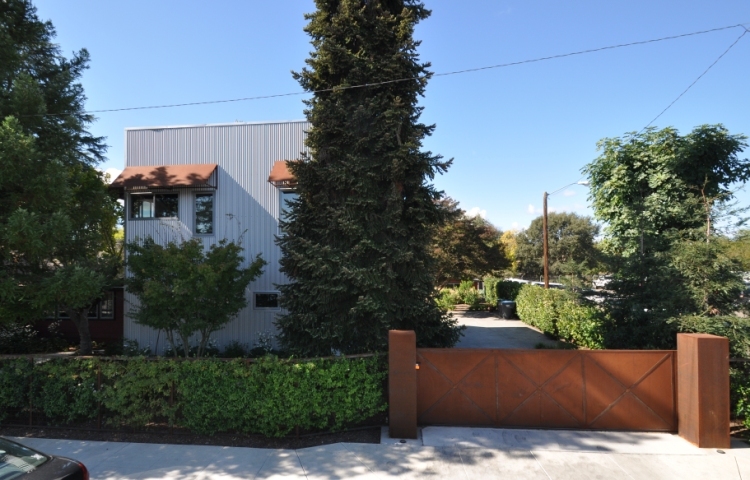 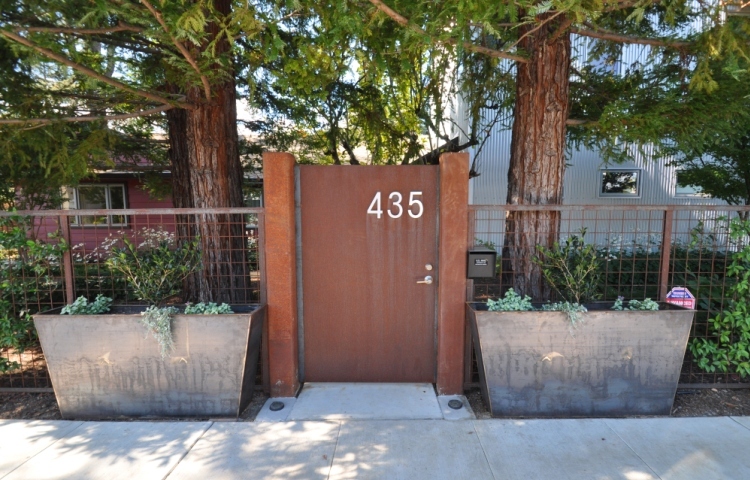 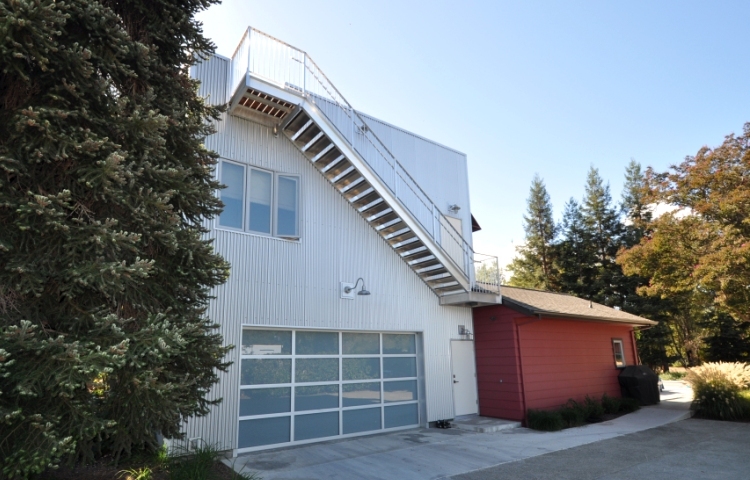 Addition to and remodel of a downtown Healdsburg ranch house. 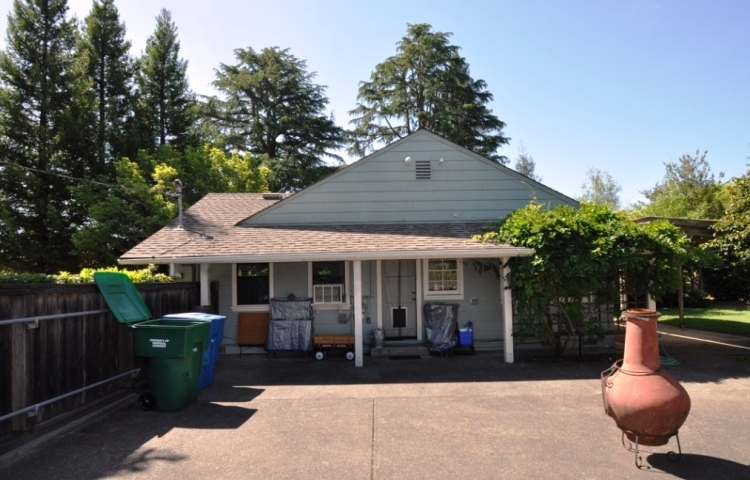 This older ranch home was completely remodeled with a new kitchen, bathrooms, flooring, repairs and a new two car garage with master suited added. 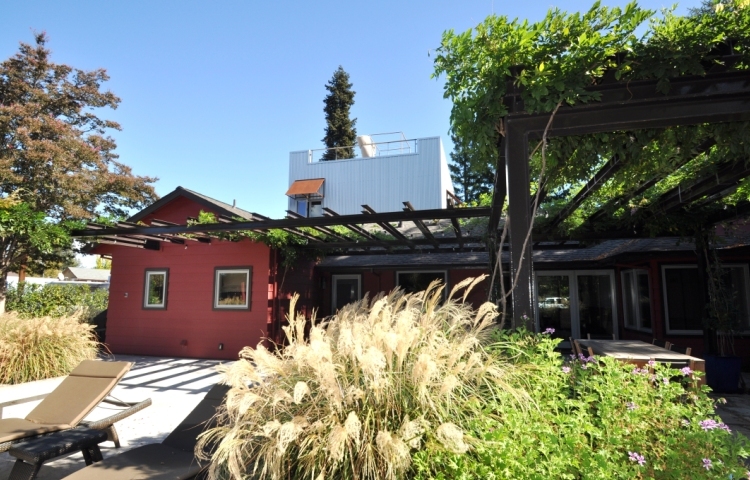 A swimming pool, outdoor deck with trellis was added and the grounds were re-landscaped. 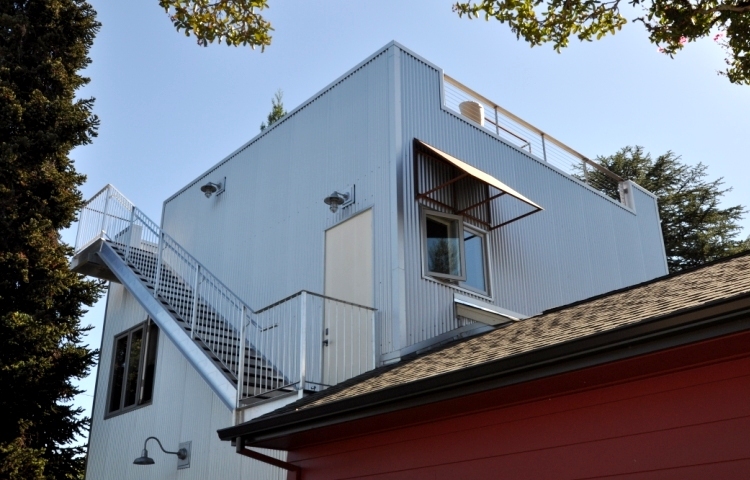 Rather than match the style of the original home, the addition used corrugated metal siding with a roof deck and parapet wall to delineate the addition from the original house.